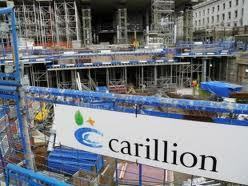 Carillion provides expertise in commercial and industrial building and refurbishment. It also undertakes civil engineering, road and rail construction and maintenance, mechanical and electrical services, facilities management and Private Finance Initiative Solutions. This week we are going to use the DividendMax optimizer to pick out our dividend of the week. Our critieria is to pick all stocks in the FTSE 350 with an annualised dividend yield of over 9%. The resulting list is First Group, Man group, ICAP, Petropavlovsk, Tullet Prebon, African Barrick Gold, Admiral Group, Carillion, UK commercial property trust, Phoenix Group, Balfour Beatty, Halfords and Resolution. Surprising to see Resolution still in there as it went ex-dividend last week. However as a previous dividend of the week it will be discounted. As will Man Group, First Group, ICAP and Admiral for the same reason. I don't fancy the UK commercial property trust as I don't know much about their business.